The nearly three-year-old travel brand has momentum and money to scale, but how high can it fly before hitting its ceiling? Steph Korey and Jen Rubio met on their first day as employees of Warby Parker, back in 2011 when the eyewear company was still a team of just 15. The formerly online-only e-commerce business — which has since rolled out over 85 brick-and-mortar stores — was then a pioneer for digitally native brands. And since, it's opened the door for an influx of disruptive direct-to-consumer brands in every category, from eyewear and beauty to apparel and luggage. After spending two years building up expertise in supply chain (Korey) and social media (Rubio), the pair left around the same time to pursue separate opportunities: Columbia Business School for Korey and a fashion job with AllSaints in London for Rubio. Then in 2015, Korey got a call from Rubio. She was traveling and needed to vent about a broken suitcase. Over the phone, Korey said, they both wondered, "Why isn't there a great high-quality option that isn't going to break, that functions the way you need it to travel seamlessly, that's affordable — all the things we had created in the Warby experience around quality and affordability and convenience and excitement?" At the time, both were traveling frequently, but that was about the extent of their knowledge of the luggage market. The inception of Away — the nearly three-year-old lifestyle brand co-founded by Korey and Rubio — was nothing like a lightbulb going off. At the time, Korey was consulting for another disruptive digitally native brand, Casper, and Rubio was delving into innovation in the luxury space. "I think sometimes you hear the story of the person who started with 'I want to start a business' or 'I have an idea for a business' and take it from there, but that really was not our story," Korey told Retail Dive in an interview. "What happened with us is that we had a pain point, we looked into it and one thing led to another. All of a sudden we were like 'I guess we're already doing this.'" "I think for Away, they found a good white space in the luggage market. There were no major players in that price range and there were no luggage brands positioned as a lifestyle brand." It's not that luggage was particularly exciting, Rubio told Retail Dive in an interview, but both saw the white space in a growing market. To them it begged to be painted with a vibrant brand story about travel, not just suitcases, despite a story that started with one faulty piece of luggage. The $225 minimalist, hard-shell carry on suitcase with a place to charge a phone was the first — and for a time only — Away product. Now, the founders have their sights set on much more than carry on, checked or even garment bags. Think Away hotels or even Away airlines, Rubio said. The luggage market — dominated by players like LVMH's Rimowa on the higher end and Samsonite on the lower — is also ripe for the kind of innovation that direct-to-consumer brands are known to drive. By 2020, it's estimated that the global luggage market will hit $43.4 billion, according to a report released in August by Persistence Market Research. In less than three years, Rubio (who is chief brand officer) and Korey (who is CEO) have built Away into a business with over 200 employees, six stores and $81 million in venture capital financing. To date, the brand has sold over 500,000 suitcases. Rapid growth has pleased investors and earned the company a reputation as a young disruptor to watch, but as Away moves beyond its cornerstone product and a handful of stores, it's reached a critical moment. Only a few years in, the brand has the momentum and money to scale, but how high can it fly before hitting its ceiling? Luggage has long been a neglected category in retail. Options are generally boring, yet practical — or the exact opposite. "I think for Away, they found a good white space in the luggage market. There were no major players in that price range and there were no luggage brands positioned as a lifestyle brand," Ayako Homma, a consultant at Euromonitor International, told Retail Dive in an interview. She wouldn't go as far as to call Away a disruptor, but the company is increasing its recognition in the market. For now, luxury brands like Rimowa, Delsey and Tumi aren't in direct competition with Away, since their price points are higher, Homma said. But, these brands are likely keeping an eye out for Away in the case it makes any upscale moves. That's not out of the question. Away's more recent "Aluminum Edition" line prices between $475 and $595. In the social media age where evidence of global travel is a coveted status symbol, Away has injected excitement into the act of buying a suitcase, Lauren Price, director of client strategy for luxury and specialty retail at Gartner L2, told Retail Dive in an interview. "I think it fits into a number of broader trends and interests, like travel, experiences and documenting them on social media. In that sense, it opened up consumers' eyes that when they're posting pictures on holiday, they should have a beautiful bag." "Creating a brand people love is easier to do now than ever, but it also means there is a lot more noise because more brands are being born that are not really that authentic or genuine." Because so much of Away focuses on brand, as opposed to product, the company can think more outside of the box — a key advantage, Price noted. From the very beginning, Rubio envisioned a brand that focused around people, experiences and storytelling — in essence, a lifestyle brand. "I think that's the difference between a brand and just like a company that sells things," she said. "Creating a brand people love is easier to do now than ever, but it also means there is a lot more noise because more brands are being born that are not really that authentic or genuine." Away, much like trendy direct-to-consumer brands Glossier, Outdoor Voices and others, benefits from a tight consumer feedback loop that is made possible thanks to social media and other non-traditional retail channels like its podcast, Airplane Mode, and a travel magazine, Here. 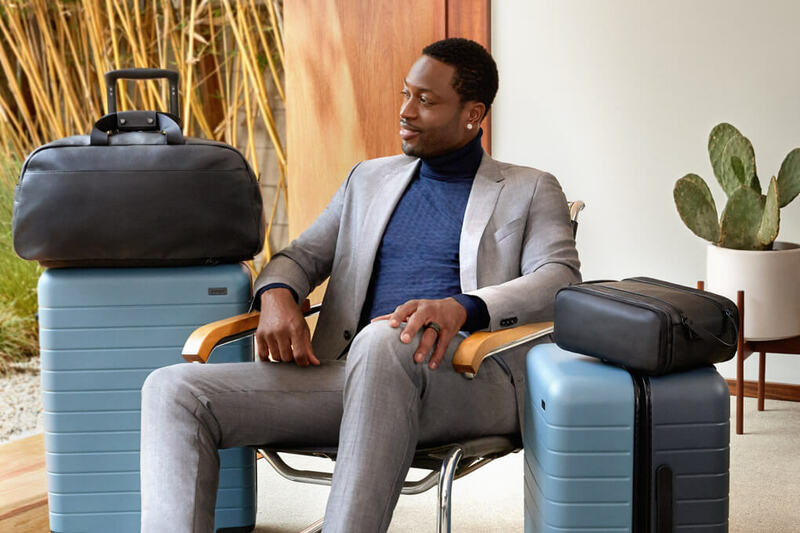 Scrolling through Away's Instagram reveals a careful curation of on-trend user-generated content — including, in some cases, adorable dogs and babies in suitcases — and advertising campaigns touting the brand's recent collaboration with NBA star Dwyane Wade. Nearly every photo is tagged at a different location around the world. Away and Dwyane Wade collaborated on a collection that rolled out in September. All of this may lead shoppers to believe that the demographic target is urban millennials, but Rubio argues the company has customers aged 18 to 98. "I think it's kind of like a self-fulfilling prophecy," Rubio said. "We love our customers and we love our customers on social media, but the ones who are most active on social media aren't necessarily representative of our entire customer base, which is why we think social media is just a collection of channels for us to communicate with one type of customer." Stores, customer service phone lines, email, live chat and even billboards are other ways to reach different types of customers, she said. "That's not a new playbook," Sucharita Kodali, an analyst at Forrester, told Retail Dive in an interview regarding the company's lifestyle appeal of being a brand, not a product. "Great. Fantastic, they've learned the great elements of an excellent marketing playbook. It ultimately comes down to execution, cash and do they have capital to invest in these additional places?" Kodali is right to be skeptical of the rapid growth touted by some startups, considering that one in 10 fail. But Away, which is quickly moving out of that stage of development, is more insulated than many, thanks to a consistent stream of venture capital money. Exactly where those dollars are invested will be critical as the company moves into its next growth phase. Away started out with a piece of luggage, but the founders were never pitching a luggage company, says Eurie Kim, a partner at Forerunner Ventures, one of Away's first investors. "They were pitching us a travel brand that was going to connect with their consumers in a different way, given their consumers are thinking about travel in an completely different mindset than they did ever before," she told Retail Dive in an interview. "That really resonated with what we thought was the big idea and the opportunity and why we ultimately invested before it launched." "We want you to be boarding a plane with your Away suitcase and all the stuff in it be Away branded also." Early on, Korey and Rubio said they knew the company needed venture capital funding to achieve the potential it saw. But VC isn't the right path for every business. Along with capital come high expectations from impatient investors, eagerly awaiting early success metrics. "Jen and I realized if we wanted to put ourselves in a strong position and we needed capital in the future, setting ambitious goals and hitting them was really the most surefire way to make that happen," Korey said. "So that's what we prioritized." Away is a privately held company that does not disclose sales figures, but according to Kim, who has continued to invest in the business, the team has consistently "exceeded expectations." She attributes that to the combination of Korey's expertise in logistics and supply chain, and Rubio's branding and social media marketing prowess. "When you have both of those things covered, it's a formidable team," she said. "They've been probably one of the fastest growing brands that we've seen certainly to date." Nearly three-year-old Away now has five stores in the U.S. and one in London. This summer, the company declared it had reached profitability and also raised a fresh $50 million through investors like Forerunner Ventures, Global Founders Capital and Comcast Ventures. When asked if the company was planning to go public anytime soon, Korey said the team is focused on "building the biggest travel brand in the world." "We think we've barely scratched the surface in terms of the opportunity of what we can be creating here, so we don't really think much about what an exit looks like," she said. "At the end of the day, an IPO is really just a fundraising event, and we just did some fundraising so we're all good for now." The next step for Away is both simple and immensely complex if you ask Rubio. "Our goal is to make the perfect, most thoughtfully designed version of everything you need for travel," she said. If that sounds vague, that's because it's meant to. Rubio isn't ruling out anything, from apparel and skincare to airlines and hotels. "We want you to be boarding a plane with your Away suitcase and all the stuff in it be Away branded also," she said, adding that the company would consider private label and partnership options. Last year, the company tried its hand at a pop-up hotel in Paris. As a year-and-a-half-old brand at the time, Rubio said there was a lot to learn. "We were able to create this really amazing experience, but we took over an existing hotel that was beautiful, that was already built out. And it really made us take a step back and say, 'If there are Away hotels, is what we can bring to the table different in the real estate and the design?' Probably not. What people are really looking to us to change is the services and the experience." Hotels are an increasingly popular retail concept, and it's a way for brands to expand beyond their core assortment of products. Luggage, unlike categories like handbags, isn't something people own a lot of, Homma said. "So for Away, which started as a luggage maker, how do they keep shoppers coming?" Product expansion is one answer — services and experiences are another. For many industry onlookers, the explosion of young digitally native brands is reinvigorating the industry at a time when many stalwarts are closing stores and even filing for bankruptcy. Others, warn the honeymoon phase for brands like Away may be sunsetting. "This growth that people think is going to be replicated indefinitely into the future is actually all of the growth of the brand over time compressed into three years." "In the past, marketing was a slower build and it would take 15 years to build a brand," Kodali said. "What's different now, is that everybody who would possibly be interested in your brand has access to it all at once and the only limit is whether or not they know about it. And in the age of social, everybody knows about it all at once. This growth that people think is going to be replicated indefinitely into the future is actually all of the growth of the brand over time compressed into three years." When a great brand grows, Kodali added, there's always an imbalance of supply and demand. "The problem with a lot of these startups is they are so desperate for the topline number that they push out as much demand as they can possibly get and then there's nowhere else to go," she said. Others view Away's future through more optimistic eyes. 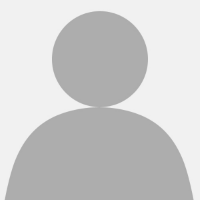 Price, for example, sees a brand that is beginning to mature on several fronts, including in digital marketing. According to Gartner L2 data shared with Retail Dive, Away appeared in 350 keywords for shopping ads in April. That number jumped to around 3,000 in May, June and July, and then it fell back down to around 650 in August and September. "While Away has always been strong at PR and social, this shows that they're starting to broaden their digital marketing strategies to look like a more mature brand's, and also aiming to reach consumers from the bottom up (unbranded product search) to compliment their strong upper-funnel branding efforts," Price said in an email to Retail Dive. The next step for Away is to move beyond its perception as a millennial favorite. "You can't wait too long and keep thinking that halo around you of being the new cool kid will last forever," she said.